Flamstead stands on a ridge above the River Ver. The first documented record of the village was in 1006 and it is also recoded in the Domesday Book. The Church of St Leonard’s that is believed to stand on the site of a ninth-century Saxon Chapel dominates the village skyline. There are many local clubs and events taking place throughout the year in Flamstead, the Scarecrow Festival and Literary Festival to name but a few. For amenities there is a local shop and three pubs within the village as well as the Flamstead Pre-School & Primary. As a location, Flamstead is very well situated being close to Harpenden, St Albans, and Hemel Hempstead. The village is on the A5, the old Roman Road, north of junction 9 on the M1. 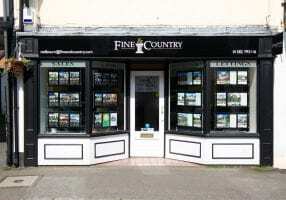 If you’re searching for properties for sale in Flamstead, or looking for a reputable estate agent in Flamstead to sell or let your property, then please contact our Flamstead Branch Manager Stuart Lee today on 01582 793116 or pop into the office at 69 High Street, Redbourn, St Albans, AL3 7LW. Our Redbourn office serves the local village of Flamstead. If you have a property in Flamstead that you’re considering either selling or renting then you’ve come to the right place. Our dedicated team of professionals will assist you through every aspect of selling or renting your property from valuation through to completion – you can read some of our satisfied customers’ comments on our about us page. If you’d like an idea of what your property could be worth for either sale or rent then feel free to use our free instant online valuation tool. There’s no obligation of course, simply use the tool to get an idea of what you could achieve from your property in Flamstead. Flamstead is a picturesque village with a good community spirit and lots of activities for all age groups. The village has a shop, post office and general store selling a range of goods including newspapers, bread and dairy products. Within the village there are 3 public houses, the Rose & Crown, the Three Blackbirds and The Spotted Dog. Schooling – There is a Village Junior & Infant school, whilst Secondary schooling is generally provided by Roundwood School in Harpenden and Schools in Hemel Hempstead. Travel connections are excellent with road links via the A5, M1 junction 9 (1 mile) and the M25. The village is linked by bus routes between Luton, Dunstable and Hemel Hempstead, or Dunstable and St. Albans, with additional bus services to Harpenden Schools. There are rail links from either Harpenden via the Thames link Railway to London Kings Cross, or Hemel Hempstead to London Euston. London-Luton International Airport: Domestic/European and International flights (4 Miles). Flamstead also hosts an extremely popular annual scarecrow festival that attracts over 5,000 visitors to the village each year. Flamstead has its own website run by a local team that details numerous events and activities – click here for details.